Children's Health | Food| Ask EWG: What’s the Difference Between Natural and Organic Hot Dogs? Ask EWG: What’s the Difference Between Natural and Organic Hot Dogs? 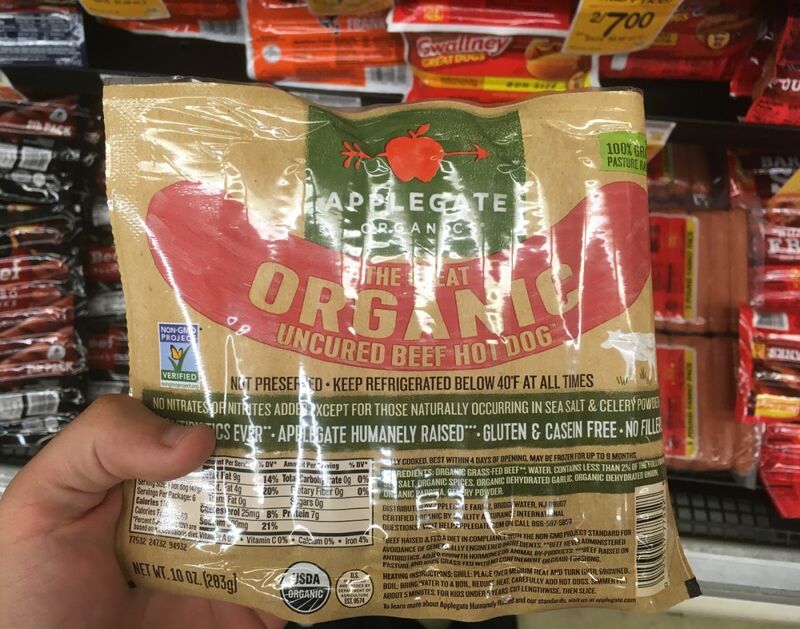 Is it worth the extra dollars to buy natural or organic hot dogs? 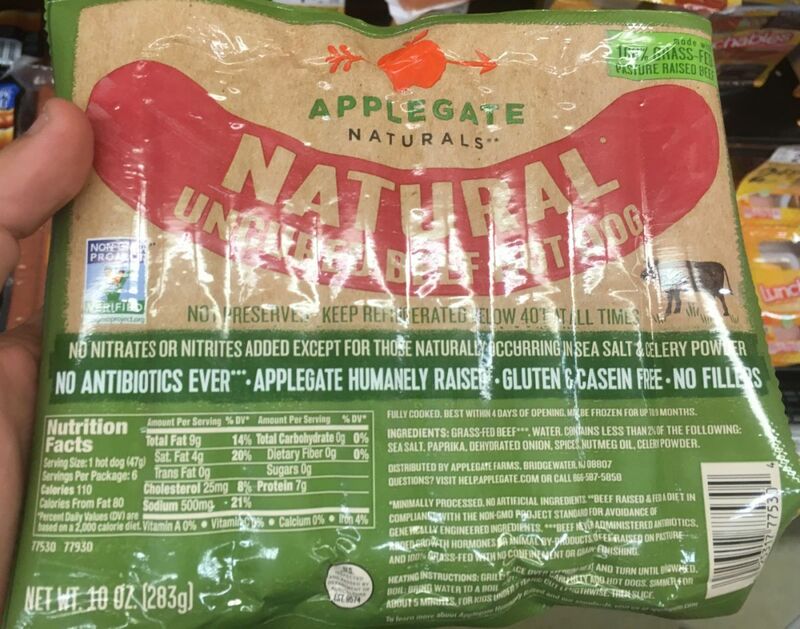 Why are some hot dogs labeled as “raised without antibiotics”? What’s the problem with nitrates and nitrites in hot dogs? There’s a reason why hot dogs are on most kids’ menus: They’re yummy. But is there a healthy hot dog? 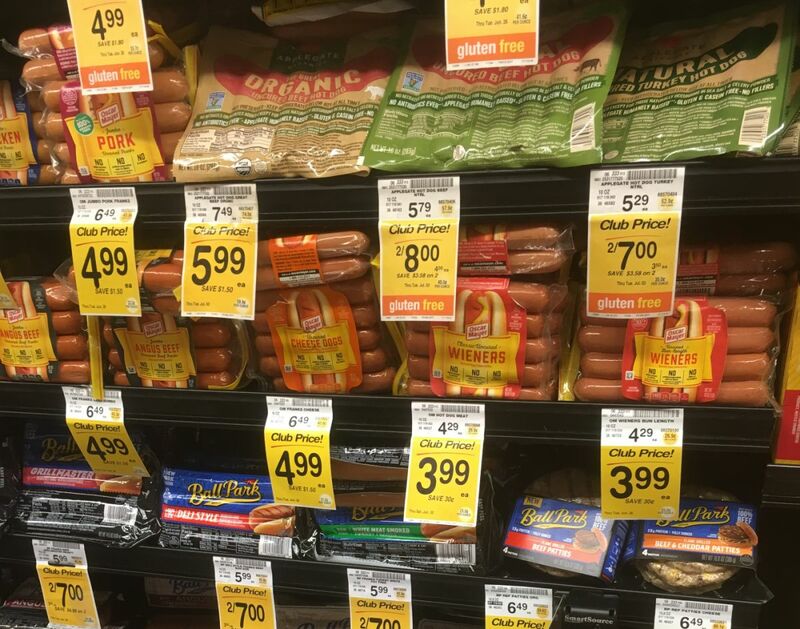 I recently found myself standing in front of the hot dog section at my grocery store, and the options overwhelmed me. Organic, natural, no antibiotics, uncured, nitrate free? Do these labels matter and what are the differences? The word “natural” on a meat label doesn’t mean a whole lot. According to the Department of Agriculture, foods labeled as natural only need to meet two criteria: They can’t include artificial ingredients, like artificial colors or flavors, and they must be “minimally processed.” Given those loosey-goosey standards, almost all raw meat products could be labeled natural. Yet there is one difference with natural hot dogs compared to standard franks. Natural hot dogs cannot contain synthetic nitrates or nitrites as their curing agent. Instead, they must use natural sources of nitrate or nitrite, like celery powder, to preserve the meat’s pink color and limit bacterial growth. 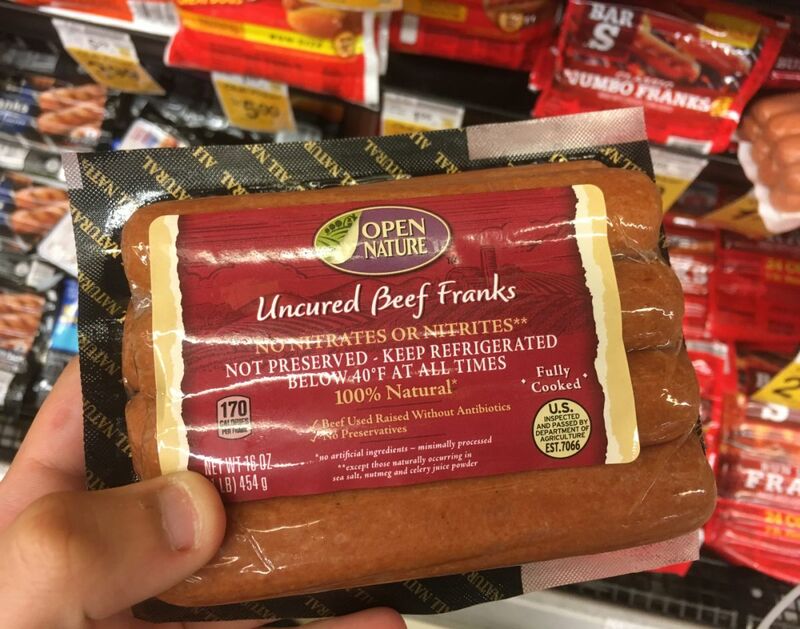 But natural hot dogs still have all the other problems associated with conventional meat production, like overuse of antibiotics, use of growth hormones, use of feed grown with pesticides, inhumane animal treatment and confinement, and intense environmental damage. A 2016 meta-analysis of 67 studies found that organic meats contained more omega-3 fatty acids than conventional meats. In some studies, organic meats contained 50 percent more than conventional meats. Omega-3 fats are important building blocks for children’s developing brains. But organic meat is still a small source of omega-3s compared to fish. The overuse of antibiotics in meat production is contributing to a huge public health crisis. Antibiotic resistant bacteria are becoming more prevalent in meat. These bacteria have adapted so medications can no longer kill them. The common industrial agriculture practice of pumping animals with antibiotics to prevent bacterial infections in crowded feedlots has fueled the problem. The majority of antibiotics sold in the U.S. are used in meat production. This includes amoxicillin, the standard medication for most childhood infections. Using the same antibiotics to treat infections in humans and prevent infection in animals will make lifesaving antibiotics useless – this is short-sighted and dangerous. Regular, on-farm USDA inspections are not required for manufacturers that make “raised without antibiotics” claims on meat. There is no USDA standardization for labeling lack of antibiotic use. While some hot dogs might be made with meat raised without any antibiotics, ever, others might be made with meat raised without any antibiotics used to promote growth or without medically important antibiotics like amoxicillin. Read labels carefully and know there is likely fine print. 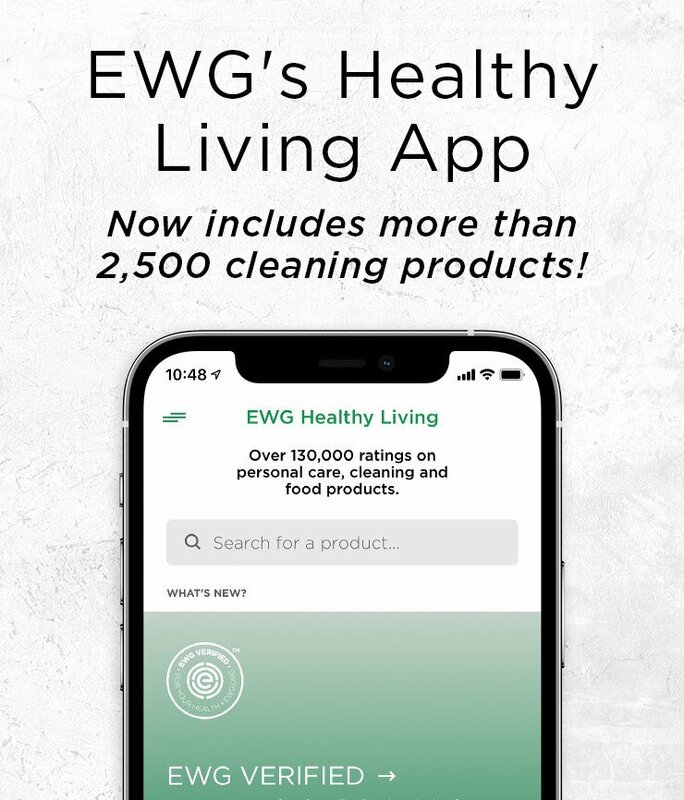 To stem the overuse of antibiotics in meat production and save antibiotics so they can still cure life-threatening infections, EWG recommends you buy meat raised with no antibiotics at all. Learn more about which labels to look for using our Meat & Dairy Label Decoder. Food labeled organic must be third-party certified to meet the USDA’s criteria. Organic foods cannot be irradiated, genetically modified or grown using synthetic fertilizers, chemicals or sewage sludge. Organic meat and poultry cannot be treated with hormones or antibiotics (sick animals must be treated, but cannot be sold as organic) and must be fed only organically grown feed (with no animal byproducts). Organic meat animals must have access to the outdoors, and ruminants must have access to pasture. The USDA defines a natural product as one that contains “no artificial ingredient or added color and is only minimally processed.” Processing must not fundamentally alter the product. 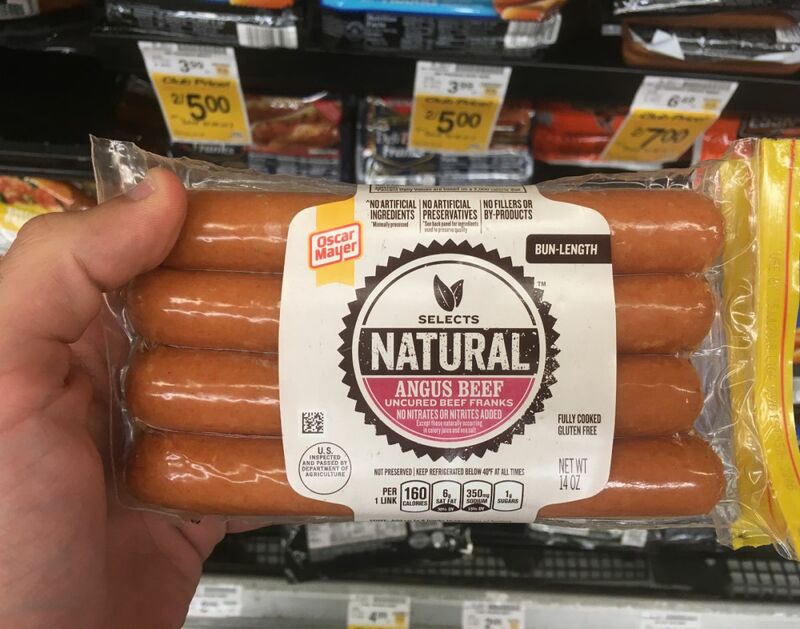 The label must include a specific explanation such as “no artificial ingredients; minimally processed.” All fresh, raw meat qualifies as natural. This term does not require that animals be raised in sufficient open space or indicate that antibiotics have been used prudently. It does not bar growth hormones. It does not mean organic. The term can mislead consumers to believe that a product is healthier and more humane than it is. The USDA’s grass-fed marketing standard requires only that animals “must have continuous access to pasture during the growing season.” It does not necessarily mean that the animals spent their entire lives in pastures or on rangeland. Some cattle marketed as USDA grass-fed actually spend part of their lives in confined pens or feedlots. Processed meats like bacon, deli meats, sausages and hot dogs get their smoky flavor in part from nitrates and nitrites, preservatives added during the curing process. These preservatives also prevent bacterial growth and maintain the meat’s red coloring. Without them, your hot dog would be an unappealing, dull gray. Lamb, beef, cheese and pork generate the most greenhouse gases and have the worst environmental impacts of any protein foods. Producing them requires the most resources – mainly chemical fertilizer, feed, fuel, pesticides and water. Meat, eggs and dairy products that are certified organic, pasture-raised and/or grass-fed are generally the least environmentally damaging. Overall, these products are the least harmful, most ethical choices. In some cases, these products have also been shown to contain more heart-healthy omega-3 fats and carry less risk of contamination with antibiotic-resistant bacteria. Eat fewer hot dogs. A hot dog a day increases your risk of colorectal cancer by 18 percent. Hot dogs also have notoriously high levels of sodium and saturated fat, and their curing preservatives convert into compounds that can increase your cancer risk. The scientific evidence is increasingly clear that eating too many greenhouse gas-intensive meats –beef in particular – boosts exposure to environmental toxins and increases the risk of a wide variety of serious health problems – including heart disease, certain cancers, obesity and, in some studies, diabetes. Go Greener. Choose organic, pasture-raised, grass-fed or one of our healthier hot dog alternatives. Natural, nitrate-free and no-antibiotic franks have some merit, but they don’t come close to the health and environmental benefits of grass-fed, organic and pasture-raised meats.